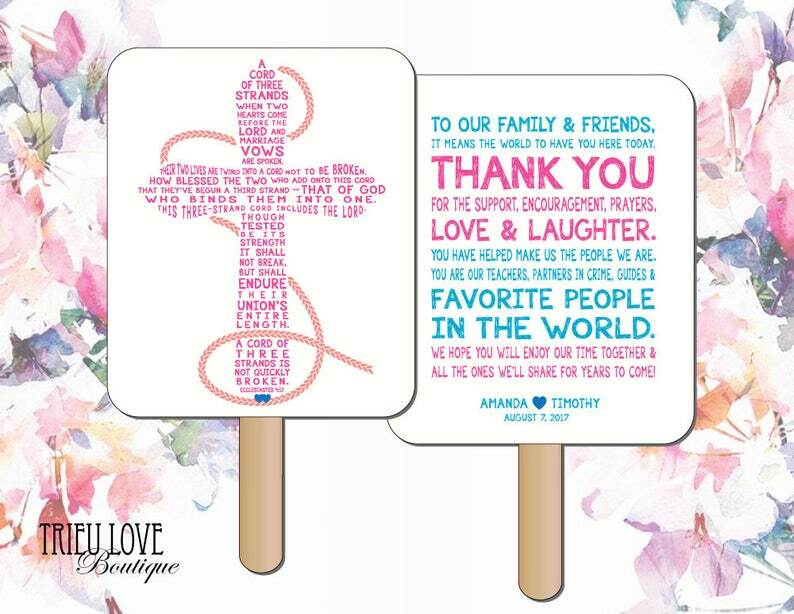 A completely customized double-sided Cross shape wedding program fan that will be 5.5" x 6.5" (plus a 3" handle). You can have anything you like written in the Cross and on the back! Change any or all of the wording to suit your special day. If you are looking for something simple and sweet, this is it. Your guests will enjoy reading through this custom program, and cool down if it's hot. After payment and your details are received I will deliver a digital file for your proofing within 4-5 business days. You receive up to 2 complimentary edits and I will resend your proof within 24hrs of your edit requests. After you approve the design, I will then send you a final PDF file for printing. If you require a quicker turnaround please message me, it is most often possible but you just have to check with me first.